Starting induction motors with long-run up periods demands a very high current surge from the supply generator causes voltage dip which affects every load on the system. 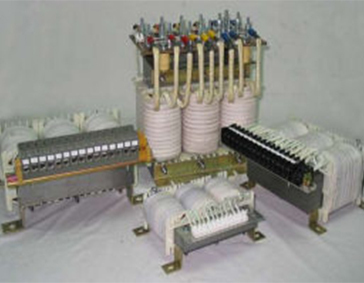 We provide autotransformer and Closed Transition Resistors for limit the motor starting surge current to a reasonable value. Some induction motors are started and stopped by applying and removing the power supply. Normally, a full voltage is applied, but limiting motor starting current is required by the resistance starter.